Compatible with all major DSL service providers and auto-detects specific service settings, allowing users of all technical levels to enjoy simple setup. This product has been rigorously tested to ensure the highest levels of compatibility and performance and includes a variety of protections and encryptions. The unit will have minor scuffs and scratches. No other accessories no manual and no box. Centruy Link Actiontec Modem and Wireless WiFiRouter Unit Model C1000A . Condition is Used. Shipped with USPS Priority Mail. Refer to pictures to see what's included. 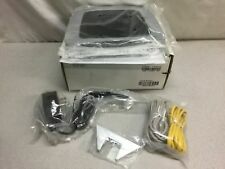 CenturyLink ZYXEL C3000Z Dual Band Modem & Router - Latest Model, Original Box. Condition is New. Shipped with USPS Priority Mail. Open box item looks new. Here's a century link modem that is excellent working condition. I've since switched to fiber optic and have no need for this device. Actiontec gt784wn wireless dsl modem/router. Condition is Used. Shipped with USPS Priority Mail. Windstream Modem Router High Speed Sagemcom F@st 1704N Brand New in Box. Condition is New. Shipped with USPS Priority Mail.